By 1993, the origins of In Need Of A Friend came to be. The realization of the founder, Gerry Mulryan, when looking for his first saddle horse, that many domestic animals were in danger and in need of rescue. He acquired his first horse from a horsetrader that sold horses to slaughter. Not long after arrived a burro. At time of rescue, she had a foal at her side and was surviving in a feed lot with twenty plus horses. 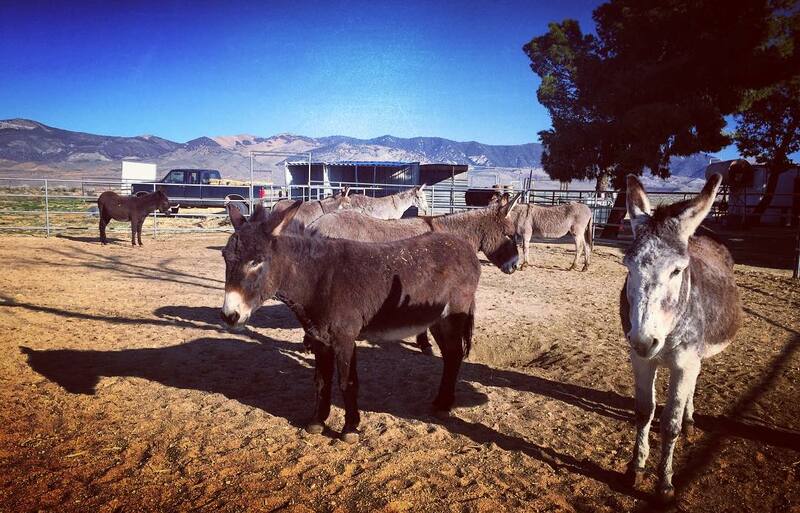 Gerry then discovered that wild burros were being shot in Death Valley National Park, California and joined with another rescue organization to secure relocation and sanctuary for these of special animals. This inspired him to dedicate himself to operating a private rescue and sanctuary until 2015 when Gerry decided to expand to become a non-profit organization to reach out to do more with the help of donors and benefactors to effect what is a crisis for animal welfare in this failed economic climate. In the latter part of the year, Gerry was diagnosed with cancer which which slowed his ambitions while he underwent tedious and debilitating treatments and surgery. This only increased his determination that the organization become self sufficient and become a legacy beyond the individual. Now, In Need Of A Friend is a California Public Benefit Corporation with a 501(c)(3) IRS status EIN #47-1536999. With your support , In Need Of A Friend will continue and prosper for the benefit of all our friends well into the future.